Disabled individuals applying for Social Security Disability benefits face myriad problems if their initial benefits claim is denied. Appealing becomes necessary, and it can take a year or so to even get a hearing. 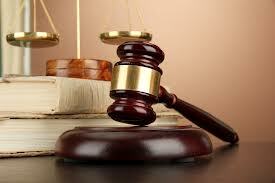 Once you finally get before an administrative law judge (ALJ), many claims are denied. Having a Boston disability lawyer represent you can give you the best chance of getting a claim approved. It remains a challenge to convince an ALJ to grant the benefits you need and deserve. Unfortunately, many politicians and pundits have repeatedly been attacking the Social Security Disability benefits system and the judges within it. There are frequent assertions benefits are awarded too easily or too many people are on the receiving end. This may make it even harder for people to get their claims approved as judges become worried about outside scrutiny and take an even tougher stance on denying claims. Yet another report has recently been released casting extra scrutiny on judges who approve benefits claims. The Wall Street Journal indicates this report was prepared by the inspector general for the Social Security Administration. It allegedly showed a significant number of disability claims approved by certain judges were approved despite the lack of a “well-supported rationale” for allowing benefits. As part of an investigation, a total of 44 judges were identified who had decided an unusually large number of cases over a seven year period and who had awarded an “unusually large” number of benefits among those cases. In total, 4 percent of all of the judges within the SSDI system who fit into this category of deciding a large number of cases in the applicant’s favor. This, of course, is a very small percentage of judges. The investigation then delved into 275 different cases in which judges did award benefits. Of these cases, the proper process was allegedly used only 31 times. In 216 of the cases, there were apparent “quality issues.” In another 28 cases, the information was incomplete and the investigator could not adequately review what occurred. Despite the fact that the proper process was not necessarily followed, investigators found that only 38 of the 275 cases were situations where benefit ultimately should have been denied. Based on these findings, the investor surmised around 24,900 cases had been decided overall in favor of the disabled person that should not have resulted in paying benefits. This resulted in allegedly “questionable” payments of around $2 billion in benefits. This conjecture seems to suggest there are far too many applicants getting claims approved improperly, which could lead to pressure on judges to deny more claims. The reality is, however, the majority of legitimate cases are denied. There should be more of a focus on making sure that those who are actually disabled get the benefits they deserve rather than only focusing on preventing a small amount of improper payments.